I never thought that dogs and drivers might have "issues" with dog sleds. But inventor Mark Schuette from Bend, Oregon says mushing can create steering battles because the dogs are in front of the riders and, therefore, have the ultimate steering control. That's why Schuette invented the first dog-behind-the-wheel Dog Powered Scooter, Dog Powered Trike, TrikeBike, and Dog Powered Skateboard, that put the dog behind the wheel instead of in front of it. Read on and see how you can urban mush your dogs. Urban mushing with a Dog Powered Skooter is very stable, whether you have one or four dogs powering it. But note that none of these dogs are chihuahuas! Urban mushing with a Dog Pulled Recumbent Trike is very exciting. 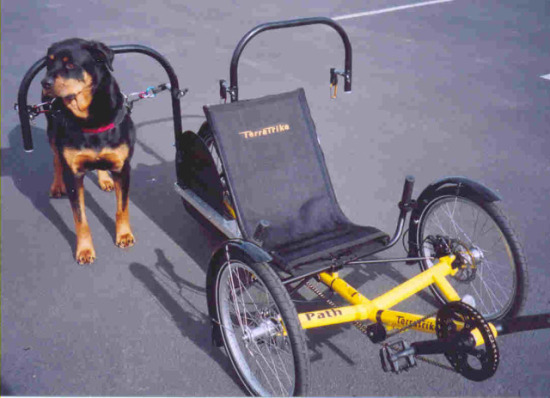 The Trike can also be fitted with equipment for up to four dogs and, though Schuette only outfitted the Trike, he likes this particular model for its stability, sports car handling, and powerful steering and braking systems. 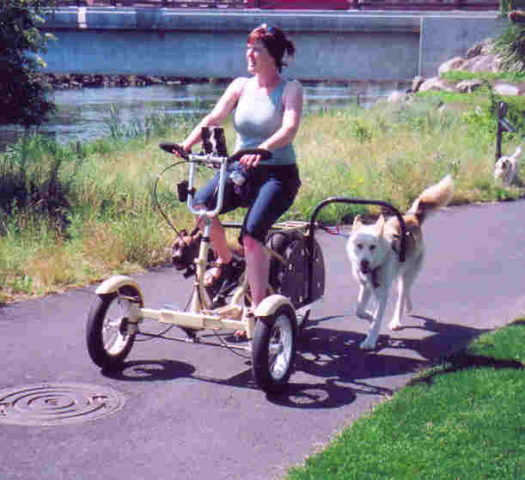 For you sissies, you can mush the Dog Powered Bike Trike that can go off-road. 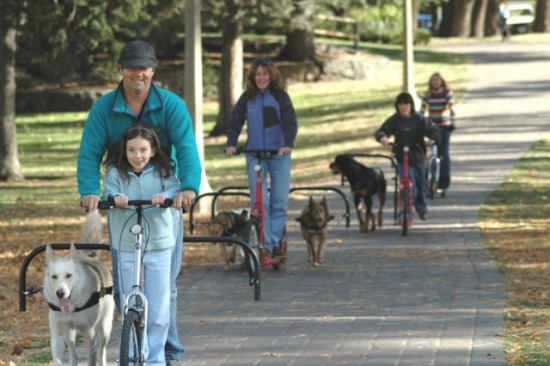 Shuette calls his Bike Trike the "ultimate rig for up to 4 big strong dogs." Finally, the Dog Powered Skateboard is an urban mushing vehicle only for the best skaters. Remember, skateboards don't have brakes. 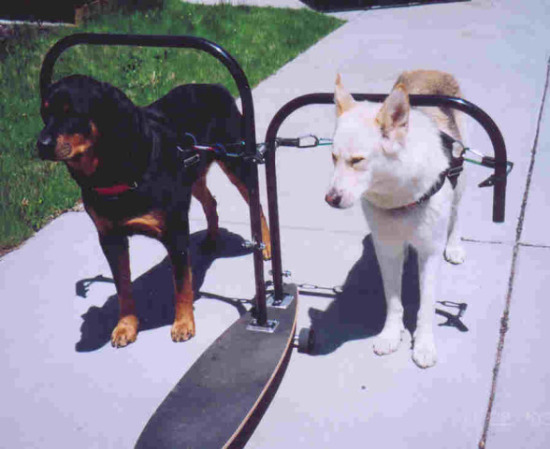 Fortunately the Dog Powered Skateboard only accommodates 2 dogs, 2 more than I personally would want powering my skateboard. But yes, my speed is the TrikeBike. Schuette says his behind-the-wheel dog pull fittings not only give mushers more steering control, but require very little dog training. He has a long list of do's and don'ts that focus on dog safety during dog-pulling. Find out all there is to know from Mark Schuette himself at DogPoweredScooter.com.